Well, not really a blue weekend, per se, but all of Sunday was lost to being ill, so I feel a little robbed of my full weekend potential, you know? Saturday brought the local Farmer’s Market, where I picked up this week’s CSA offering. This is the first year we’ve participated in a CSA (having wanted to for years, but never having made the deadline for signing up before). Absolutely loving it! 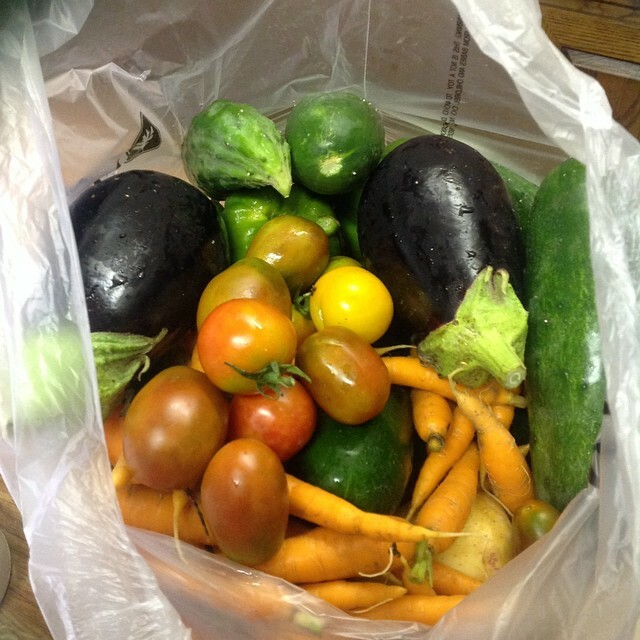 The first tomatoes of the season were part of the offering this week–along with eggplant, cucumbers, zucchini, green bell peppers, carrots and potatoes! Big Summer Stew coming up for tonight’s meal. Nom! 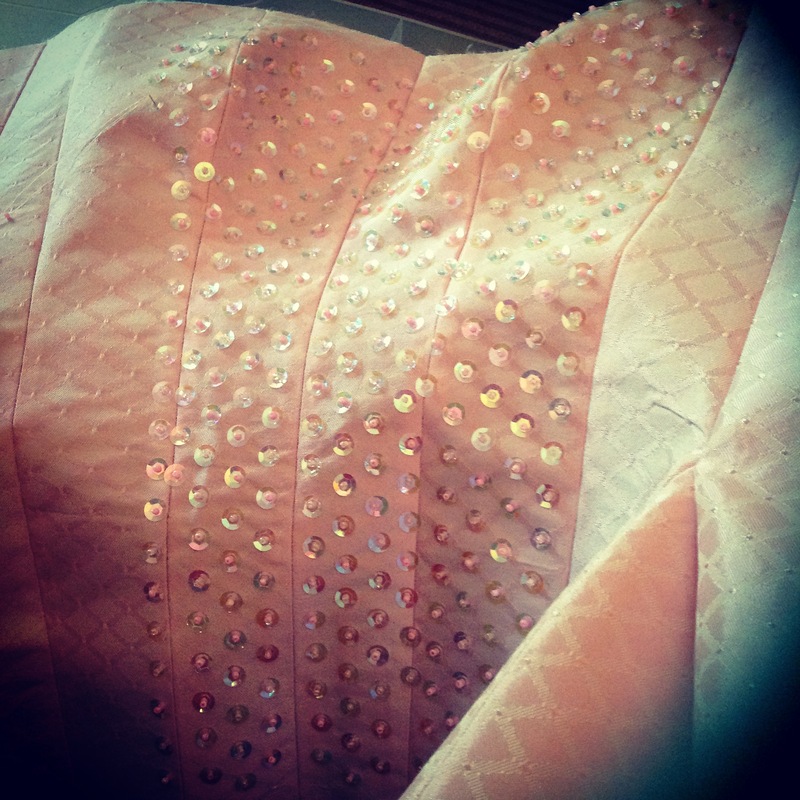 Worked on some sequining & beading for one of the bustiers that will be part of the upcoming shoot. In retrospect, I’m not sure how well SEQUINS will show up in a photograph, but….well, it’s done now, lol. Then Sunday rolled around, and I was in bed battling a severe headache and body pains until around 1pm. It was awful. 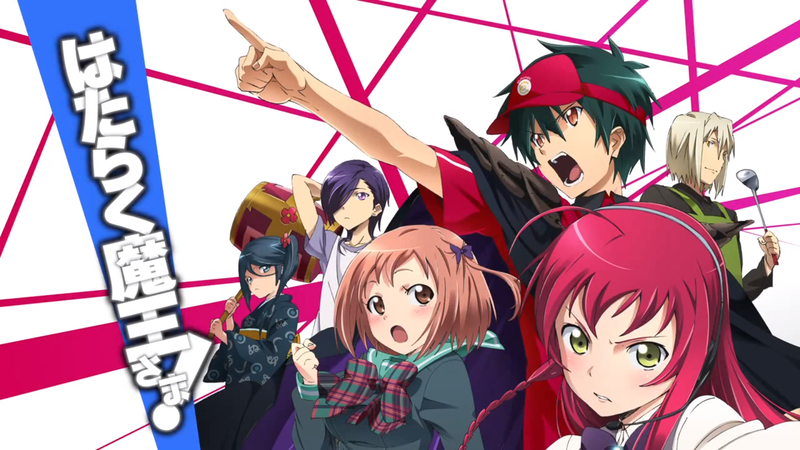 Once I managed to drag myself out of the bedroom, onto the couch (still in pj’s and with half the headache hanging on), the Husband and I binge-watched the entire season of “The Devil is a Part-timer!” on Netflix–and loved it! Here’s to the week starting, my head not trying to kill me, and a productive week ahead! Happy Monday!